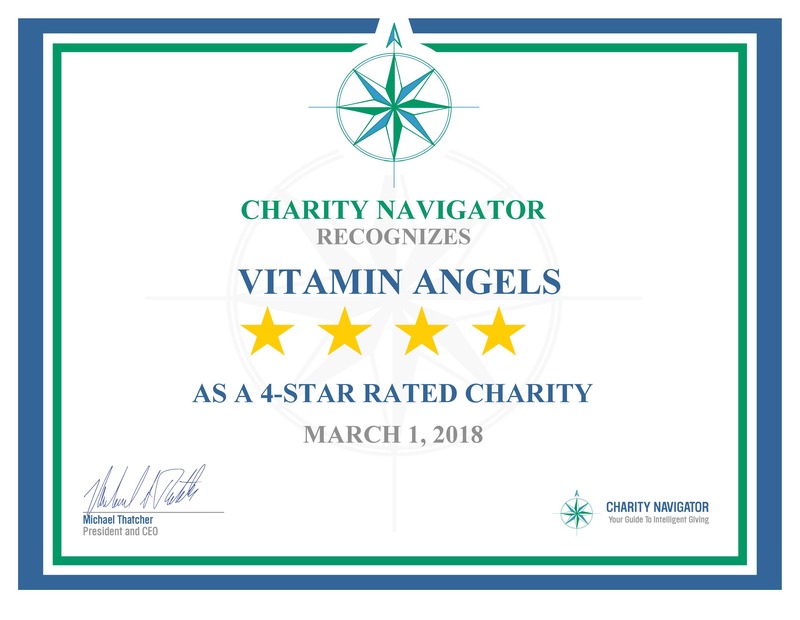 Santa Barbara, CA – Vitamin Angels, a global aid charity that provides nutritional support to women and children in need, was once again recognized by Charity Navigator for excellence in administrative and financial transparency. Only 4% of charities evaluated have received as many consecutive 4-star ratings from Charity Navigator. Charity Navigator is considered the nation’s largest and most-utilized evaluator of charities, rating over 9,000 organizations a year on their financial health and accountability & transparency. Vitamin Angels currently operates in 74 countries across a field partner network of more than 1,200 organizations. The charity recently announced that it would be expanding the reach of the its prenatal multivitamin program, with a goal set to reach 50 million women annually by 2030.